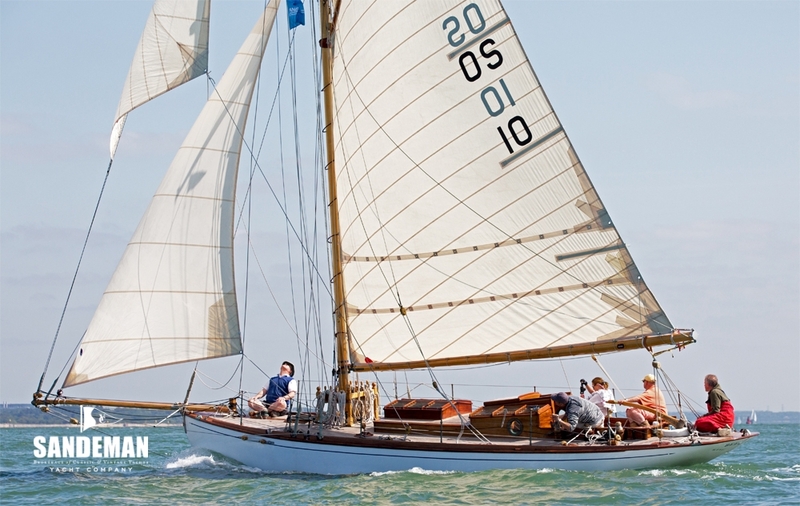 Fred Shepherd’s designs seem to exude an English charm all of their own and BEELEIGH is no exception. 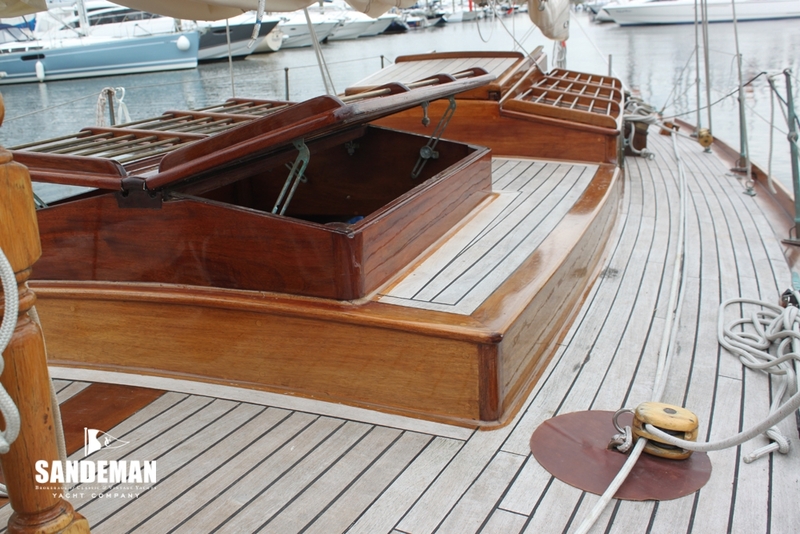 Shepherd was indeed clever and by 1920s standards his yachts carried more volume below at no detriment to their beauty. 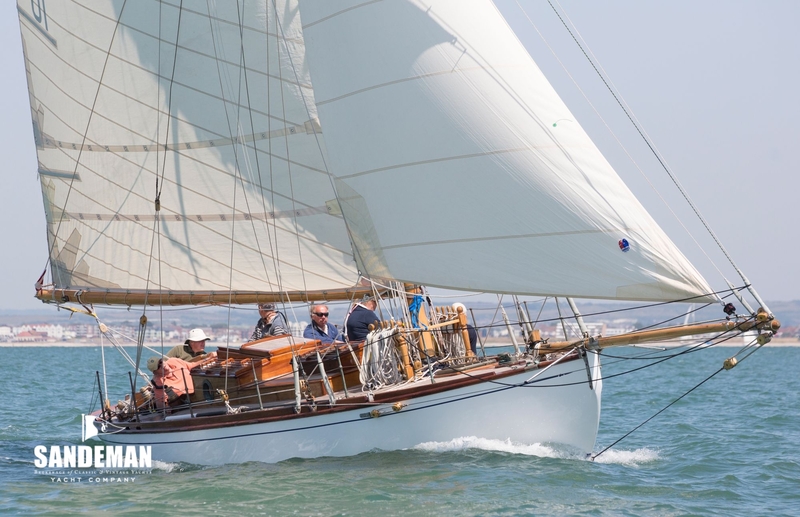 BEELEIGH is ready now to classic race or cruise and her current owners have made her a very useful all rounder. 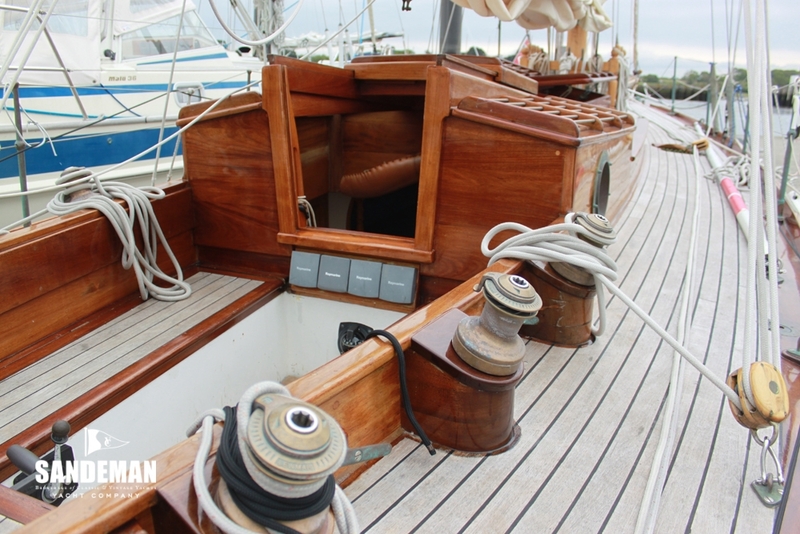 Built for Bernard Durkin BEELEIGH was kept for many years in Essex waters. 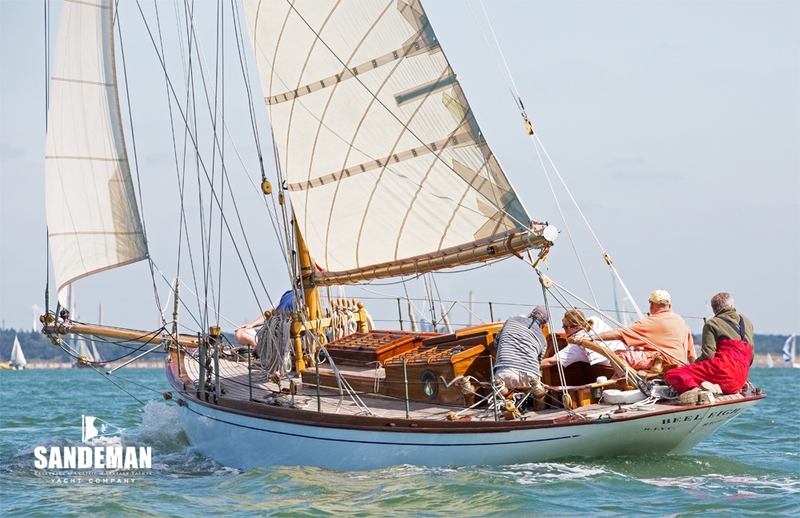 Originally without engine she did have a paraffin motor fitted in 1930. 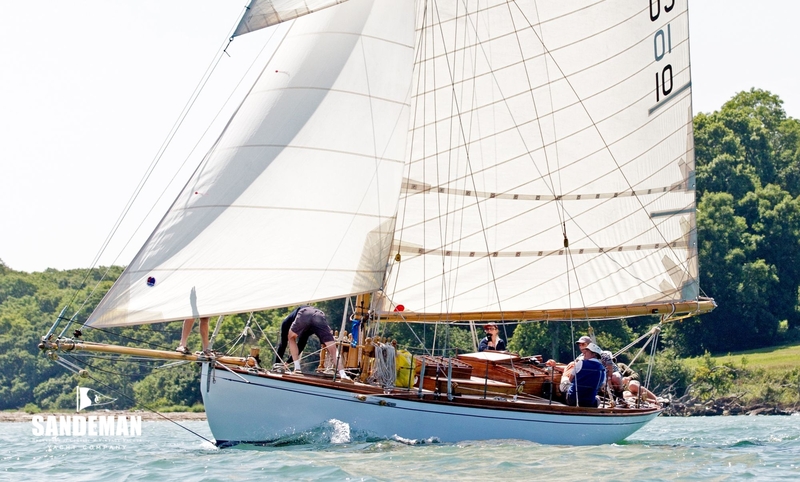 In 1963, by that time Bermuda rigged and fitted with a Parsons petrol engine, she moved to the Hamble and four years later to the Swale. 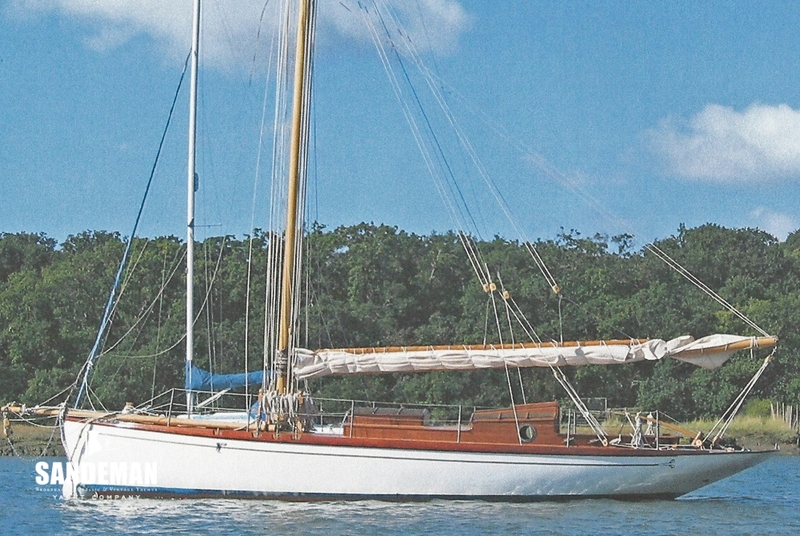 In 1967 she was sold and then around 10 years later to the Abbotts of Maldon, who kept her at Benfleet. 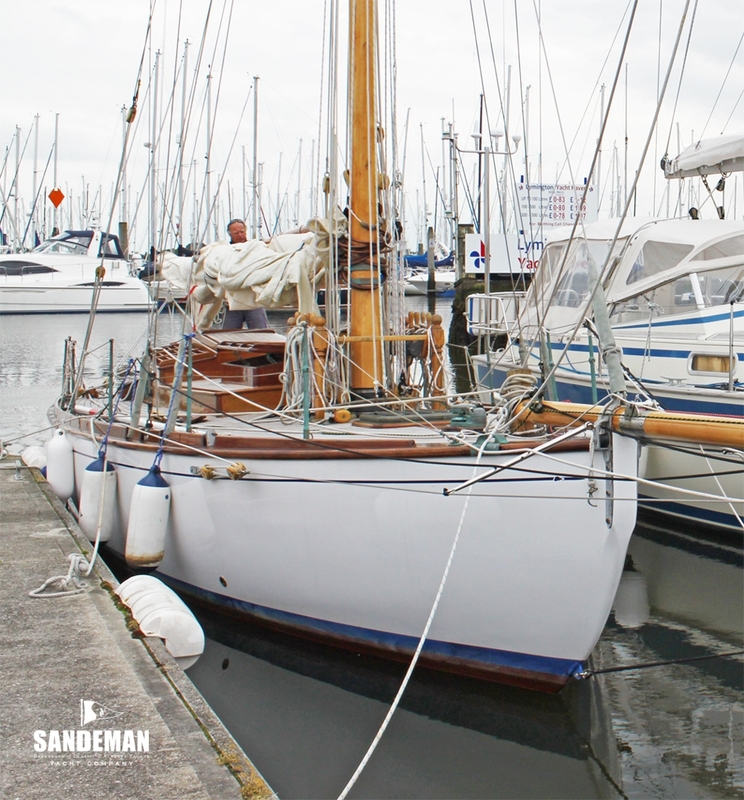 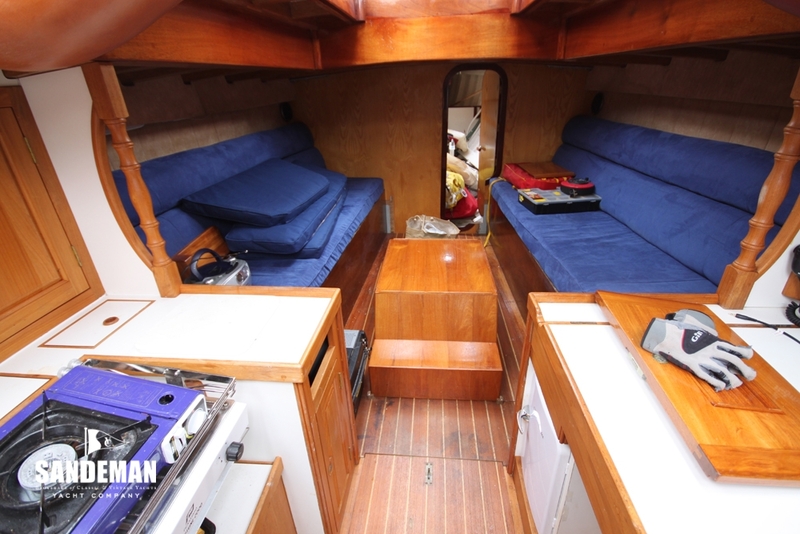 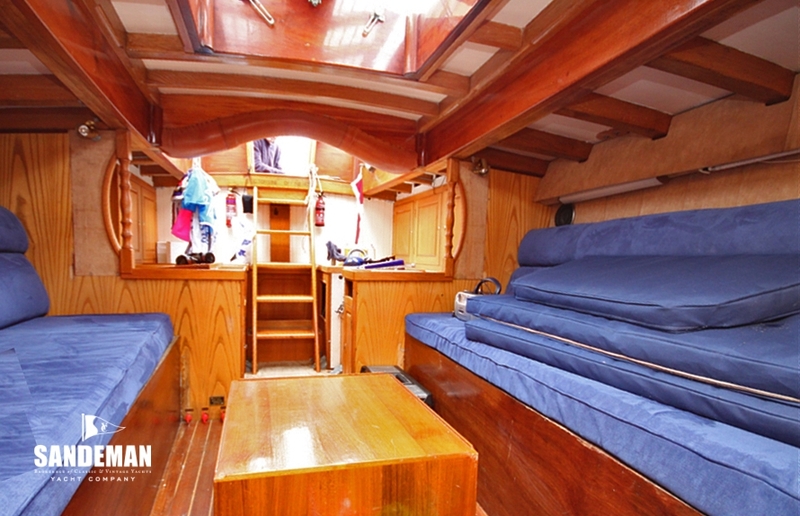 Sold again she fell on hard times, then to be owned by Geoffrey Pannell of Huddersfield, who extensively restored her at Staniland in the 1990s – notably with a modified coach roof and more modern interior. 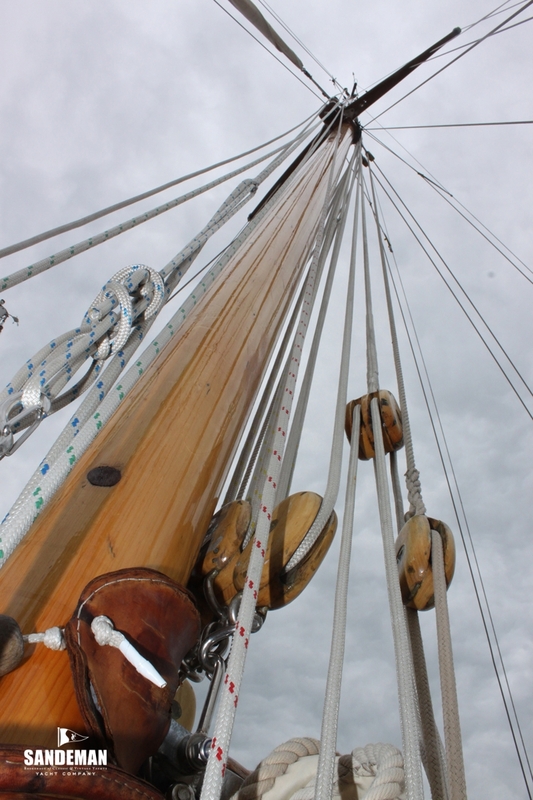 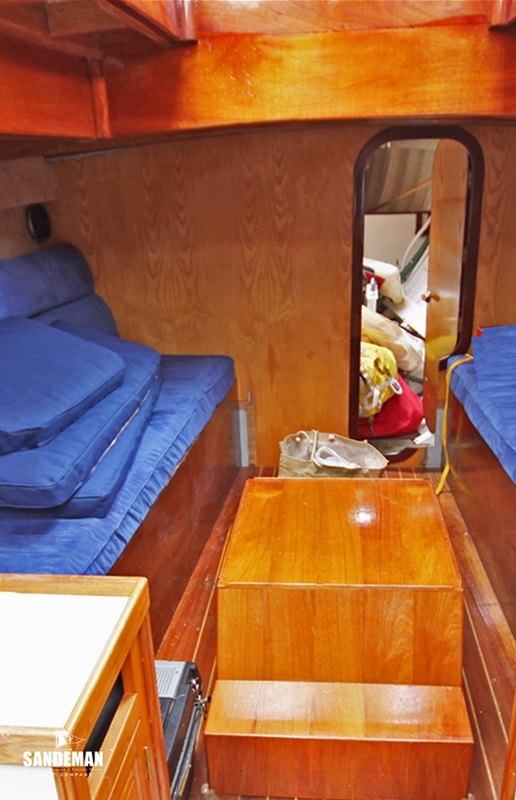 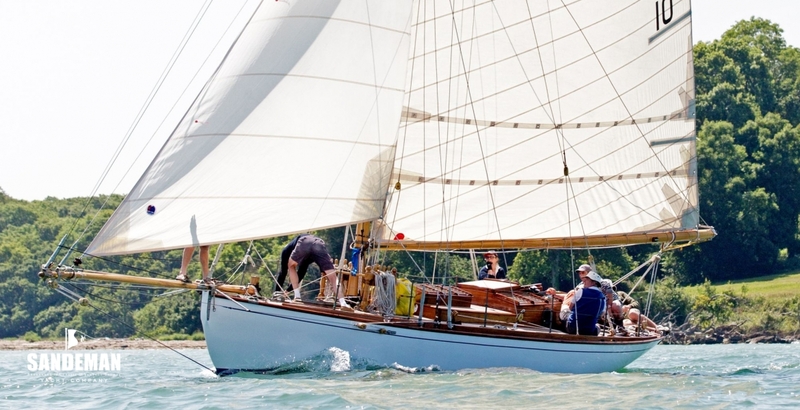 In 2001 she was re rigged as a gaff cutter and brought to the Solent by Michael Hedger – apparently not much sailed before being acquired by her current owners. 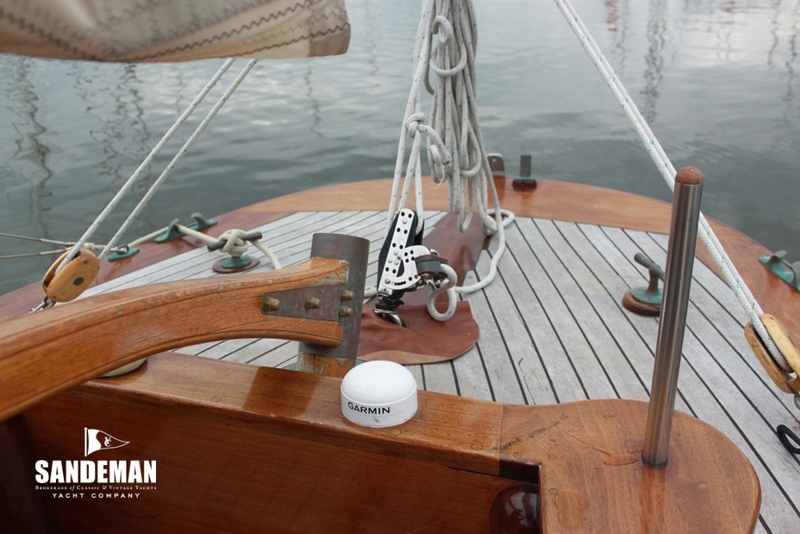 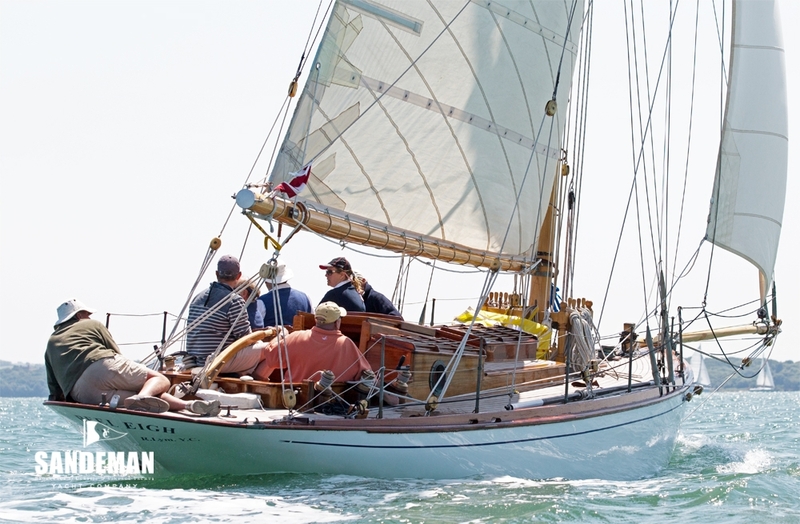 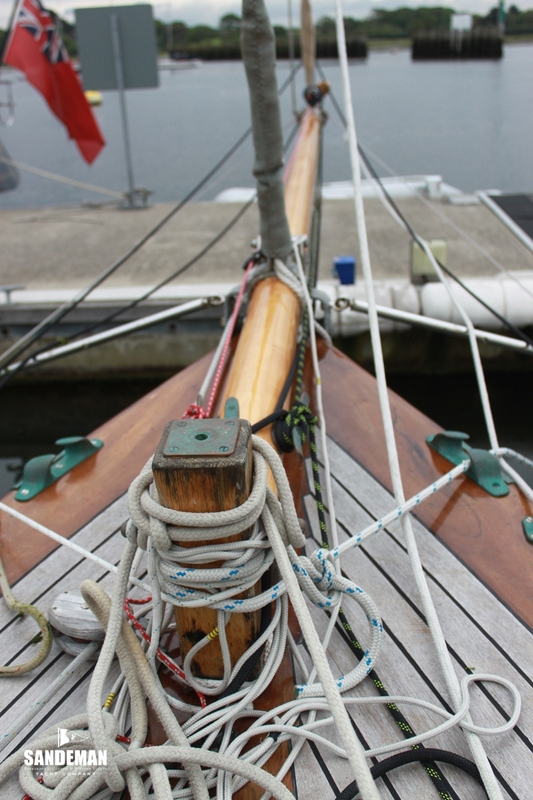 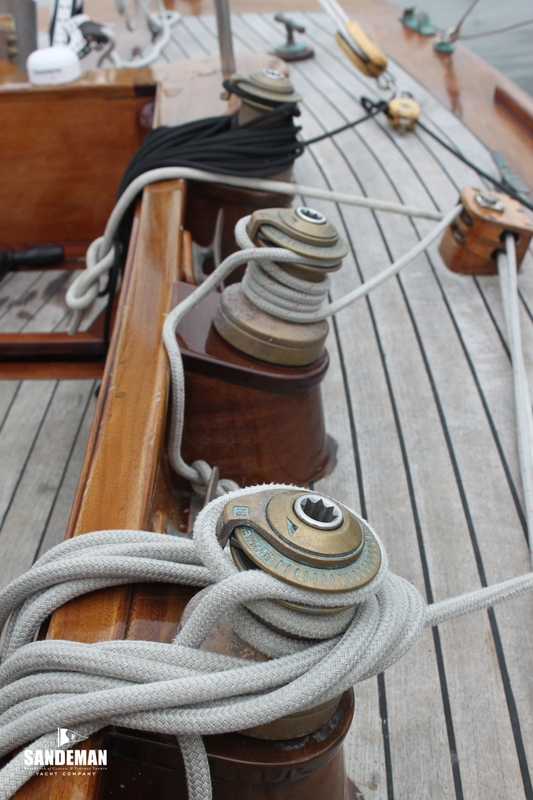 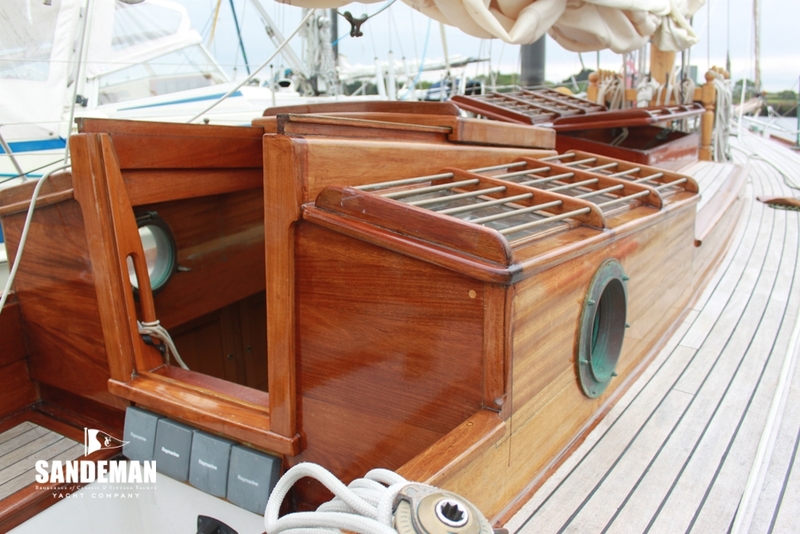 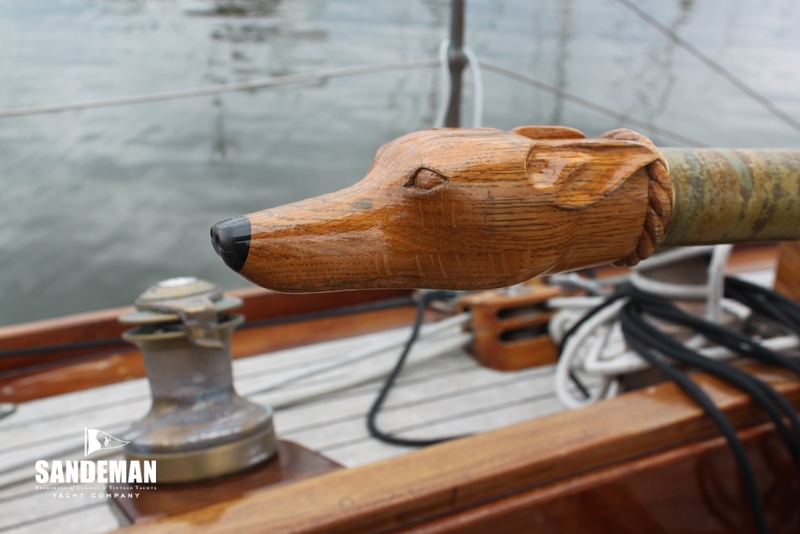 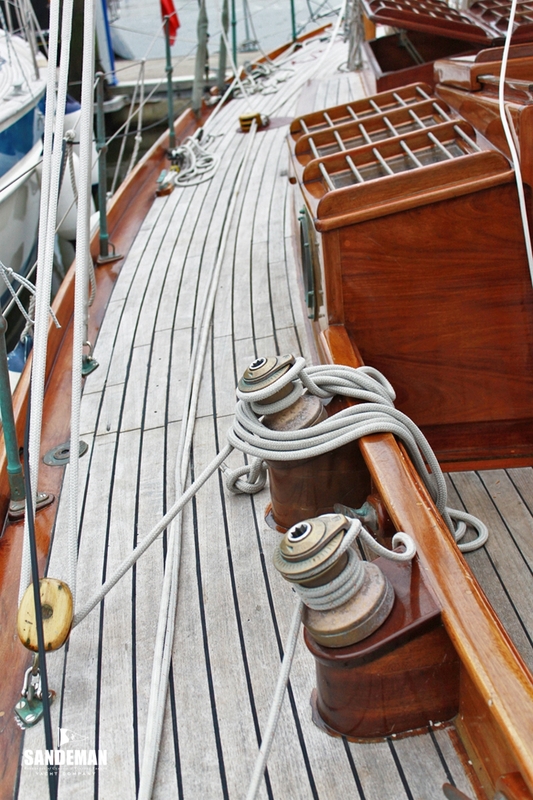 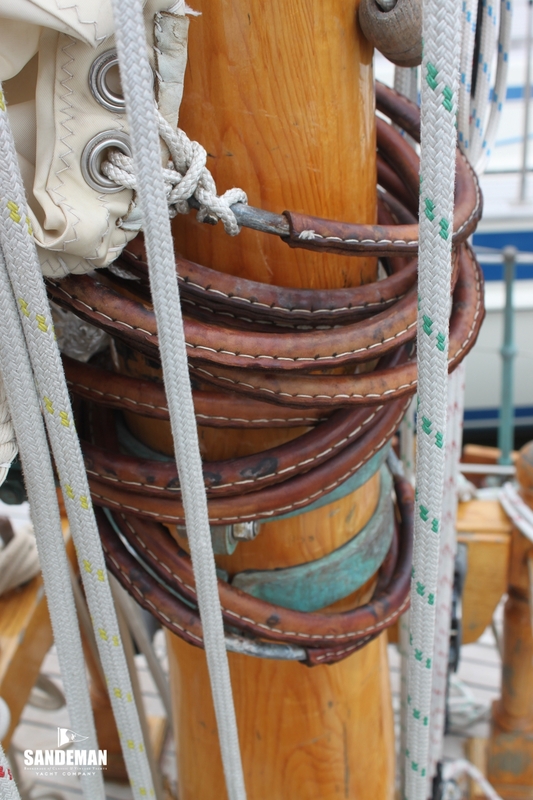 Her participation in the 2013 Panerai BCYC Regatta was rewarded with a recent article in “Classic Boat”. 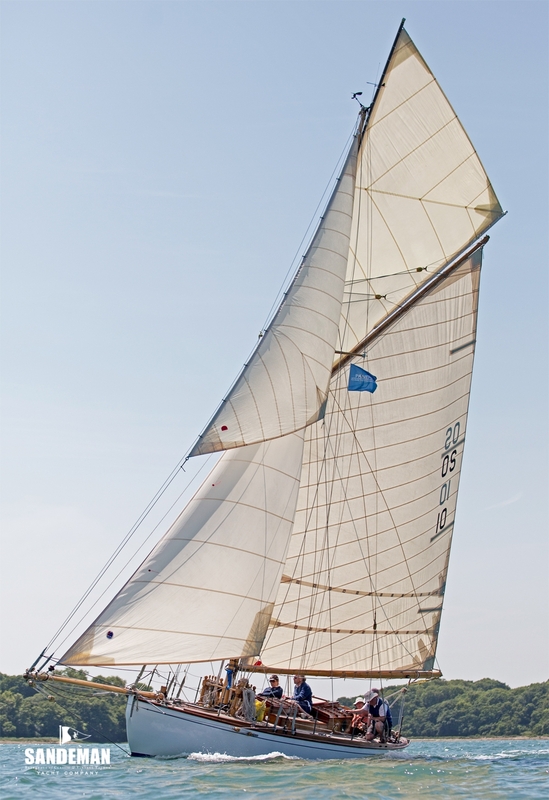 BEELEIGH was substantially restored during the 1990s at Staniland. 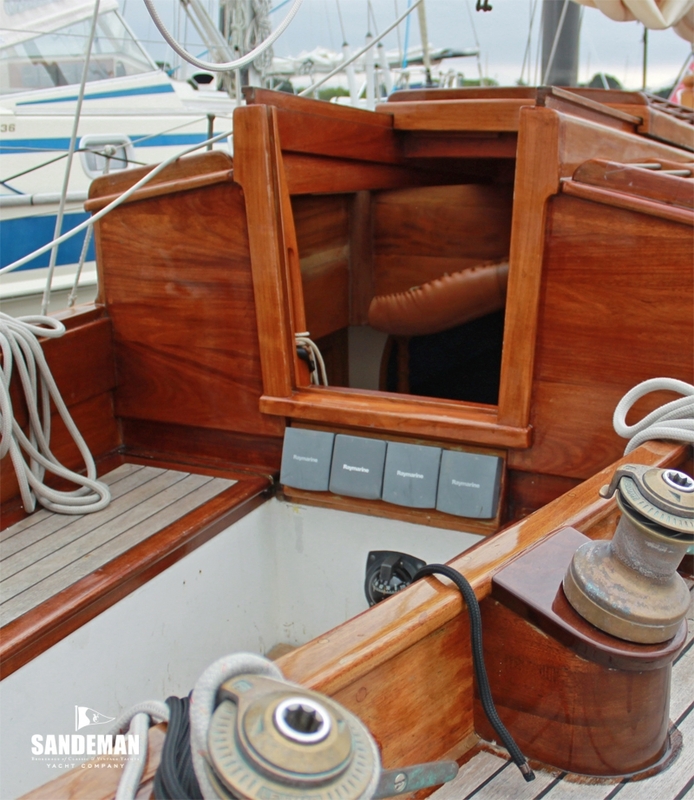 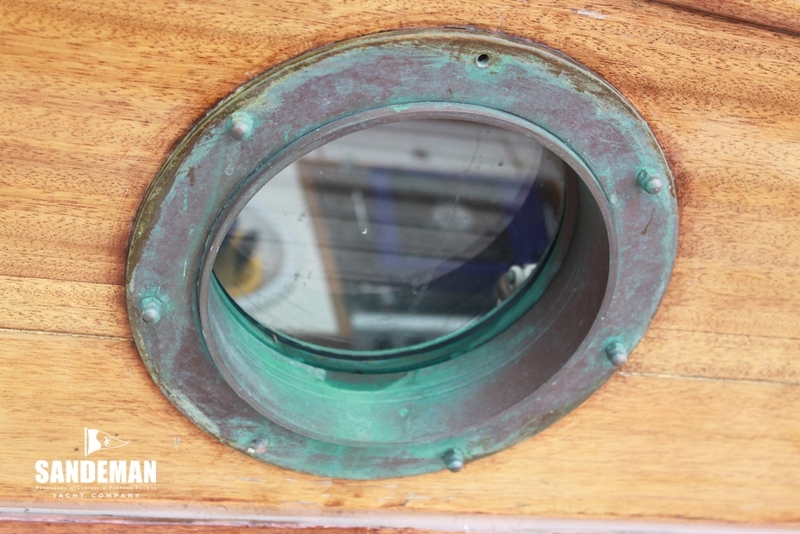 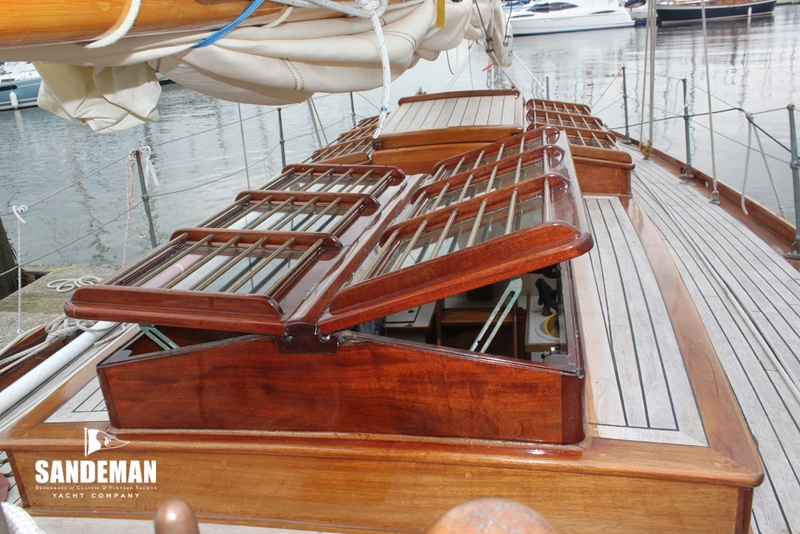 She was taken right back to bare wood and wherever deficient made good, then stabilised before being epoxy glass sheathed. 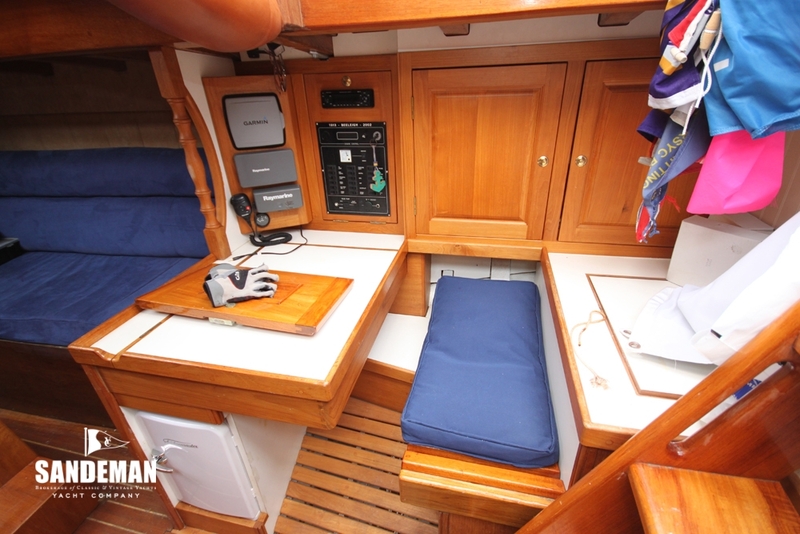 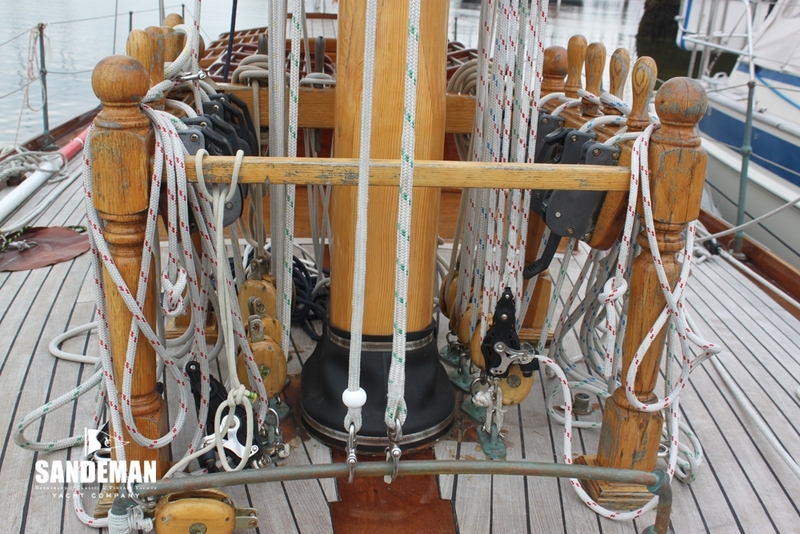 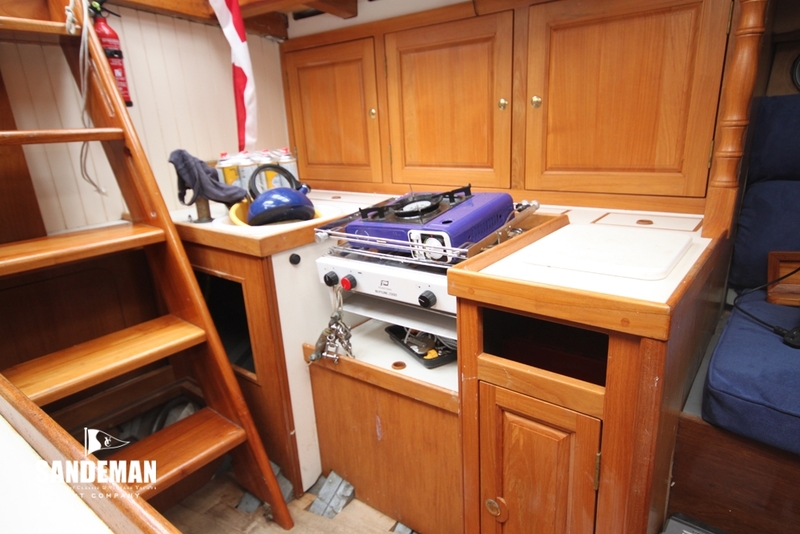 An album with good photographic illustrations of the phases of work is available for scrutiny and goes with the boat.